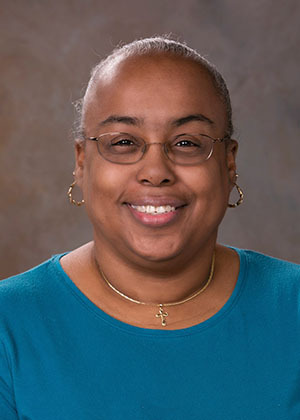 Wanda F. Carr, 58, of West Haven, entered eternal rest on March 23, 2019. Ms. Carr was born in Mt. Vernon, NY on December 25, 1960, a daughter of Willie Wilson Carr (Judith) and the late Margaret Williams Carr. She was most recently employed at Yale University as a Shift Coordinator. In addition to her father, Wanda leaves to cherish loving memories, her daughters, Tanisha S. Carr and Desimone R. Sledge (Anthony); sisters, Bernice Herring (Robert), Donna Baxter, Regina Peters, Jonisha Carr and Aletha Gay; a brother, Eric Eugene Carr (Melody); seven grandchildren; and a host of other relatives and friends. She was preceded in death by a grandchild. A celebration of Ms. Carr’s life and legacy will be held Saturday, March 30, 2019, at 11:00 a.m. at Mt. Gideon Faith Fellowship Church, 363 Dixwell Ave., New Haven. Viewing and visitation will be held at the church from 10:00-11:00 a.m. Burial will be private. I would like to take a moment to offer my sincere condolence on the loss of your loved one. Only the great God above can describe the pain you must be feeling. Our God promised us that Wanda will rise in the ressurection ( John 5:28,29 ). In the meantime I pray that you find comfort in knowing that God loves us (John 3: 16). Thank you so mu h for your kind remarks. Gone but never forgotten! Sleep peacefully mother in law! She truly loved her kids and grandkids. Right now, when your loss is so fresh, it may be difficult for you to imagine that this pain will ever go away. But in time the blessing of God’s unfailing love will soften the hurt you’re feeling and bring your heart the peace, comfort and hope that it needs to heal. How? Revelation 21:4 tells us that soon everything that causes us pain, including death, will be gone forever. We also have the hope of our loved ones being resurrected here on earth, as Acts 24:15 tells us. I do hope you find comfort in this. Though I did not know Wanda, she sound like a beautiful person. I am touched by your loss. Please accept my sincere condolences. It is with heartfelt respect and sympathy that I send to each of you during the loss of Wanda whom I call sister. I want you all to know that, the Will of God will never take you where the Grace of God will not protect you. Wanda I will never forget our important private talks. Also when the kids were little you would come over and go swimming and BBQ the best chicken wings and have the best macaroni and cheese.I had so much fun at your house on the holidays too. I will always have those memories. Love and God bless you in heaven now. Thanks hun, God Bless you. Thank you so much for these remarks it means a lot to me, God Bless you. I love you guys.